Last month we announced the release of NGINX Plus R6 and with it a number of new features that were on our customers’ wish lists. Several of the features, including full‑featured TCP load balancing and enhancements to our live activity monitoring dashboard, extend the benefits of NGINX Plus to enterprises and other organizations that rely on applications running over TCP rather than HTTP. In particular, many customers have asked about using NGINX Plus to proxy and load balance Microsoft Exchange traffic. Exchange is widely deployed in all types of environments – from on‑premises data centers to cloud environments like Amazon Web Services (AWS), the Google Cloud Platform, and Microsoft Azure – as a mail server, calendar, and contacts management application. Editor – The deployment guide announced in this blog, Load Balancing Microsoft Exchange Servers with NGINX Plus, was updated for NGINX Plus Release 7, which introduced support for NT LAN Manager (NTLM) authentication with Microsoft applications. TCP load balancing – In addition to HTTP and HTTPS, Exchange uses ports and protocols that run over TCP, including Internet Message Access Protocol (IMAP) and Simple Mail Transfer Protocol (SMTP). With the comprehensive TCP load balancing and reverse proxy capabilities in NGINX Plus R6, enterprises can now benefit from improved performance, availability, and security for all types of Exchange traffic. Editor – NGINX Plus Release 9 and later extends load balancing support to UDP‑based protocols as well. Monitoring and health checks – It can be a challenge to keep on top of all the moving parts in a multi-protocol application like Exchange. With NGINX Plus’ live activity monitoring dashboard, you can monitor dozens of performance metrics in real time, spotting potential problems before they affect users. NGINX Plus R6 introduces a full range of TCP counters to complement the existing set of HTTP counters. You can also configure NGINX Plus to proactively check the health of TCP‑based servers. It automatically stops sending requests to downed servers, greatly reducing the number of “page not found” and other errors that your users experience. Unbuffered upload – Microsoft Outlook uses Microsoft’s RPC over HTTP technology for communication. It opens two simultaneous connections, one for constant upload and the other for constant download, using the HTTP methods RPC_IN_DATA and RPC_OUT_DATA. NGINX Plus R6 (and NGINX Open Source 1.7.11 and later) support RPC over HTTP traffic with the unbuffered upload feature, which you configure with the proxy_request_buffering directive. To get you started with load balancing your Exchange servers as quickly as possible, we’ve published a deployment guide, Load Balancing Microsoft Exchange Servers with NGINX Plus. It explains step by step how to configure all components – DNS, Exchange, firewalls, and NGINX Plus – on premises or in a cloud environment. You can choose between basic load balancing and an enhanced configuration that improves performance and makes your deployment easier to manage. 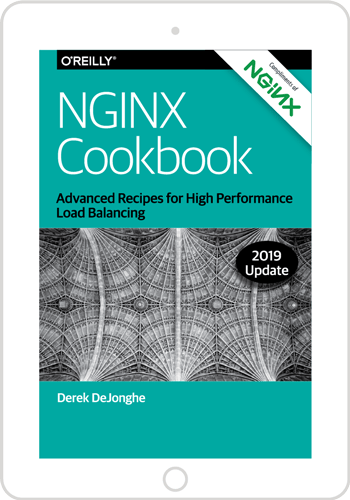 We know that many of our customers are long‑time and expert NGINX and NGINX Plus users, and for their convenience we’re also publishing plain NGINX Plus configuration files for both basic and enhanced load balancing of Exchange. Experienced with Exchange but new to NGINX Plus? Take advantage of our free 30-day trial and see for yourself how NGINX Plus can boost the performance and manageability of your Exchange deployment.